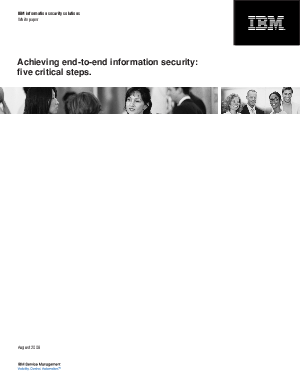 > IBM > Find the balance between data security and availability. Companies often struggle with keeping data both available and confidential. See how to balance risk and reward by identifying and classifying sensitive data, determining the sin the IBM white paper, "Achieving end-to-end information security: Five critical steps," you'll learn a more sophisticated approach to information security. Security posture of different points of access and tracking data changes.